Hawk Eye on Australia v India Second T20: V for value? "Kohli is not as prolific at No 4 as he is at No 3, his best position. 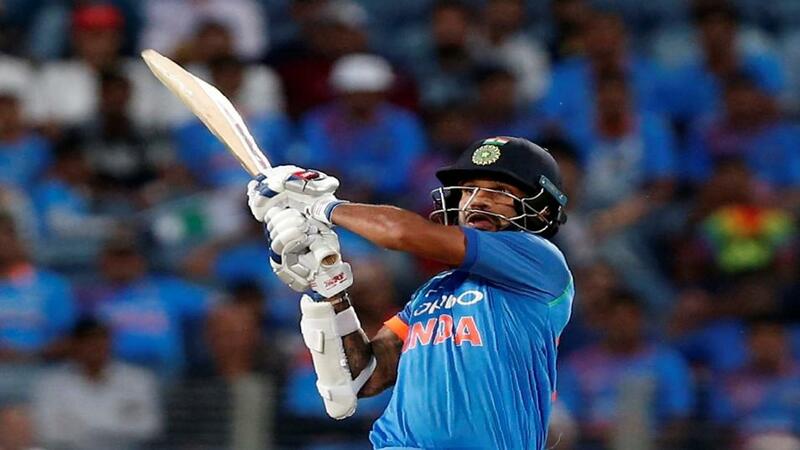 He averages 40 (not including not outs) compared to 26.5"
India might blame lots of factors for their surprise defeat by Australia in the first T20 in Brisbane; rain just when they were about to unleash their death bowlers, an inflated target under the Duckworth-Lewis method or Krunal Pandya's wet gloves as he looked to cut loose in the final over. None of these would have mattered, however, had Virat Kohli not chronically underperformed. Kohli managed four runs from eight balls. Had he managed a strike rate of 100 (Hardly difficult for a man who has a career rate of just under 140) then the four-run margin off defeat would have been wiped out. This is not a simplistic way of looking at it. Never before had Kohli managed a strike rate of lower than 85 in a chase for India. That's 26 innings. Across his entire T20 international career, Kohli had only recorded a strike rate of 50 or less three times. Three times in 59 innings. Good news for India, then. Kohli cannot surely be as bad again. And good news for punters, too, because they should be confident that a bet on Kohli to perform to his potential is more likely to come off. As a result of his no-show at The Gabba, Kohli has been bumped off the head of the betting for top India runscorer. Rohit Sharma and Shikhar Dhawan are the front two at 13/5 and 3/1 respectively. Kohli is 7/2. Is that value? Yes. Across his career Kohli cops with the regularity of a 7/4 chance. There is a problem, though. Kohli has batted (apart from two innings) from Nos 1 to 4. And he is not as prolific at No 4 as he is at No 3, his best position. He averages 40 (not including not outs) compared to 26.5. That's a significant chunk and should be enough to convince the India brains trust to reinstate him. That gulf may also down more pure value. Kohli is 8/1 to win the man of the match award. Statistically, he should be about 15/2. If we could guarantee that Kohli would bat at No 3 then we would be on both. But then he wouldn't be 7/2, would he? India have a slight problem with their line-up as they have, essentially, too many good batsmen. They have to find room for KL Rahul, who should probably be opening, but then they can't drop either Rohit or Dhawan. Kuldeep Yadav won the India top bowler market in Brisbane. T'was ever thus. Kuldeep is the most consistent bowler in the world in this market. He should be favourite every time he plays. He isn't for this game. Jasprit Bumrah gets the nod at 5/2 with Betfair Sportsbook. Bumrah is an excellent bowler. Likewise his partner in crime, Bhuv Kumar, who is 4/1. But Kuldeep cops 15 per cent more often than Sportsbook suggest with an 11/4 quote. We're a little worried that rain and cold wind might make Kuldeep's task trickier at the MCG but it's difficult to argue with that sort of edge. Australia v India Test Series Betting: Crisis? What crisis?